Cheer up! Marvel's Guardians of the Galaxy Vol. 2 DVD version will be released on August 8, 2017. That is to say, you can decrypt Guardians of the Galaxy DVD to your Mac/PC iPhone iPad for free enjoyment. 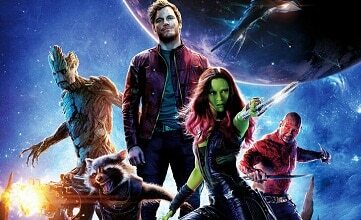 In this article we are meant to help the Marvel's fans out of the Guardians of The Galaxy DVD copy and rip issues by sharing them the once-and-for-all solution to backup and decrypt DVD Guardians of The Galaxy Vol. 1/2 in lieu of simply introducing its box office performance. Critic Review - Guardians of the Galaxy is everything a Marvel film has or ever will try to be. Thrilling, hilarious, and heartfelt, with great special effects and the perfect cast, this film is bonafide entertainment and the best blockbuster of the year. You won't want it to end. Handbrake Decrypt DVD Guardians of the Galaxy Error: Many a user reports Handbrake crashes every time during the scan process while ripping DVDs published by Disney. DVD Decrypter Rip DVD Guardians of the Galaxy Issue: DVD Decrypter gives a strange error of CSS and some other weird code and shows the DVD being ripped is over 76 gigs in size. Other Guardians of The Galaxy DVD Backup and Rip Error: The ripped movies will be out of order and even unplayable on mobile devices. The abovementioned Guardians of The Galaxy DVD decrypt errors are mainly out of a new anti-piracy Disney DRM set to thwart common DVD rippers from copying its DVD. So for a hassle-free solution to decrypt DVD Guardians of The Galaxy from Marvel, a DVD DRM remover is much needed. 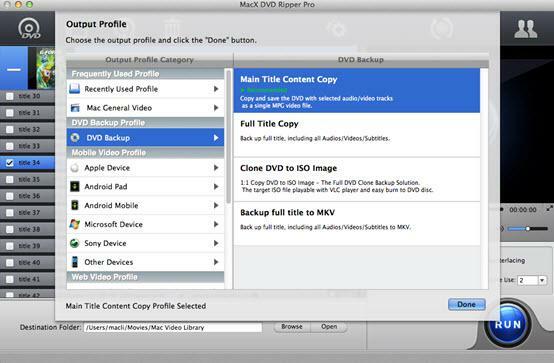 Luckily, MacX DVD Ripper Pro exceeds all your anticipations in not only DVD decryption, but Guardians of The Galaxy DVD backup and rip field with excellent video and audio quality. Copy DVD Guardians of The Galaxy to DVD for Keeping: The fast DVD ripper boasts a unique DVD analysis technology, capable of decrypting the latest copy protected DVDs from Disney, Sony, Paramount, Warner Bros, etc and making a 1:1 DVD copy, inclusive of DVD to ISO image or MPEG2 with 100% quality reserved, DVD to MKV with selected or all language/subtitle tracks. Users can then burn Guardians of The Galaxy DVD to DVD with the aid of iDVD further, so that they can keep the Marvel's DVD movie forever without worrying about damage or loss. Rip DVD Guardians of The Galaxy Vol.1/2 for Mobile Watching: Mobile enjoyment will never be a hazard with the help of the Guardians of The Galaxy DVD ripper. 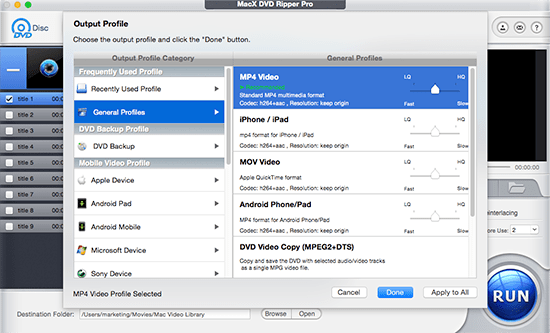 Preloaded with 376 preset profiles, both seasoned film buffs and novice cinephiles alike can easily rip Guardians of The Galaxy DVD to MP4, MOV, AVI, WMV, etc for playback on the latest iPhone Xs/Xs Max/XR, Samsung Galaxy S9/edge+, Surface Pro 4, PS4, etc. Prior to the DVD release, movie buffs also seek every possible solutions to watch their hotly anticipated film except from enjoying it in theatre. And the following tips will be focusing on the alternative to watch Guardians of The Galaxy HD full movie without DVD decrypt or backup. 1. Download YouTube Guardians of The Galaxy for Free: If there is Guardians of the Galaxy full movie resource on YouTube, normally you can realize your Guardians of the Galaxy online downloading directly from YouTube without any charge using a free YouTube downloader. 2. Free Download Guardians of The Galaxy Vol.2 from Torrent Site: Generally, movie torrent download is regarded as the most popular way for people to enjoy the latest movie without paying anything. They just go to the Guardians of The Galaxy movie torrent download site like ThePirateBay -> Search for the full movie torrent to be downloaded -> Click download to complete the process once you've installed a torrent client like uTorrent, VUZE, BitComet, etc. Please keep in mind, to free download Guardians of The Galaxy torrent will be at the cost of high bandwidth, come with virus or unwanted ads, malware and even get involved in copyright issues. And to decrypt DVD Guardians of The Galaxy for DVD backup or rip for fair use is considered as a safe way. 3. Stream Guardians of The Galaxy Using Popcorn Time: Popcorn time gains reputation worldwide unexpectedly for its excellent ability to stream copyrighted material via torrents in real time. So people can simply watch Guardians of The Galaxy instantly using this platform, provided you are only wishing to enjoy movies on Mac, PC, and Android mobiles.